Due to the fact that you have ended up here on this website, today… you’re asking yourself if you have an issue with your drinking. Why else would you be searching for this subject matter? Trust me, individuals who do not have a problem with drinking do not search online for ‘Am I an alcoholic?’, they don’t give it a second thought! Whether a Facebook post caught your eye or you went searching for information on problem drinking. The very point that you have made it here could suggest that you do, actually, have a problem with drinking. Obviously, the majority of people do not normally come to the conclusion that they have a drinking issue by themselves. The facts stem from what the alcoholic thinks are misguided loved ones. Maybe you have arrived at this site to take an alcohol addiction evaluation to prove somebody wrong, and perhaps they have got your drinking all wrong. Perhaps you’re not really an alcoholic. However … perhaps you are. We think you owe it you yourself to discover the facts. So, we’ve made things simple for you. This weblog has lots of free advice and a variety of alcohol addiction checklists from respectable support groups that will help you to determine on your own if you are, in reality, suffering from an alcohol use disorder. It’s very feasible that you’ve arrived here due to the fact that you are researching in support of somebody you love. Perhaps you know for certain that you do not have a problem with drinking, but you feel somebody you know has a stumbled into the dangerous problem drinking warning signs. If this holds true, you can also take advantage of the free advice supplied within this post. Nevertheless; we think in order for somebody to obtain assistance with a drinking problem, the concession that there is an issue at all should come from the lips of the individual who has the problem. You can offer facts and advice to the individual you love, but until the drinker becomes self-aware that something has to change, in his/her thoughts, you are fighting a losing battle. If, after checking this out this post, you believe the individual you love really does have a drinking problem; we urge you to tell them to check out this website on their own. If you don’t want to be so blunt about it, simply share this post on your social media accounts – they will see it, don’t worry. Even if they don’t mention that they saw it. Just before we provide you with a few alcohol addiction self-assessment checks, we think we should talk about an extremely dynamic facet of alcohol dependency. It’s called denial. Denial is a defense reaction that says to you that you do not have a problem with drinking at all. It lies to you and informs you that your alcohol consumption isn’t really as harmful as everybody claims it is. It additionally states that you can get your alcohol consumption controlled any time you wish to. These are all lies established by the refusal to accept the truth. The difficult aspect regarding denial is that it comes to you in your very own voice and it is extremely persuasive. It is the brain’s way of protecting you from the horrid reality about your alcohol consumption to protect you from the unpleasant truth that you have a situation that is beyond your control. Even though denial is a cognitive fabrication created to shield you, it is hurting you. Alcohol is not your BFF. It is your worst enemy. Just taking this straightforward affirmation, while it may feel trite, can put your mind on a fresh and more positive trajectory. This little illustration of determination may enable you to see some drinking habits you may not have had the ability to truthfully examine previously. You lie about your alcohol consumption. If you’re concealing just how much booze you put away or attempting to make out like you do not drink anymore when folks challenge you about your alcohol consumption, you may have a problem. You cannot stop drinking after you start. Have you said to yourself you are only going to have just one or two to kick back just to end up in a boozy trance before the evening concludes? If so, you may be an alcoholic. You have blackouts. If you consume alcohol on the stage where you do not recall just how you got home or why you are awakening on the bathroom floor, you certainly have an issue. Non-alcoholic drinkers do not pass out. You skip your job, college, or family obligations due to your alcohol consumption. If you are too hungover to meet your obligations, this is an indication that you have a problem with drinking. You consume alcohol on your own. Are you drinking huge amounts of booze in your home on your own instead of in public circumstances? Wake up and smell the coffee! You drink at unseemly times or steal drinks. Do you consume alcohol prior to work or through a lunch break to get you through the working day? Do you take a nip or two in the restroom in your home or do shots when no one is looking? If so, this is not healthy. Drinking is creating complications in your marriage. Even though it might appear like your spouse/parent/friend is going on at you about your drinking and ruining all the enjoyment, if booze is creating troubles in your marriage or relationships, this is a sign that you have an issue with alcohol. You shell out a great deal of cash, time, focus, energy on drinking. Is drinking a prerogative in your daily life? If so, you should ask yourself the reason why. Individuals who do not have a problem with alcohol do not spin their daily lives around the stuff. 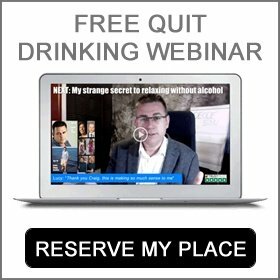 Have you attempted to stop drinking alcohol just to discover that you cannot? If you have sworn off drinking alcohol over and over again just to go back to liquor over and over again, we loathe to be the agent of misfortune– you’re most likely an alcoholic. 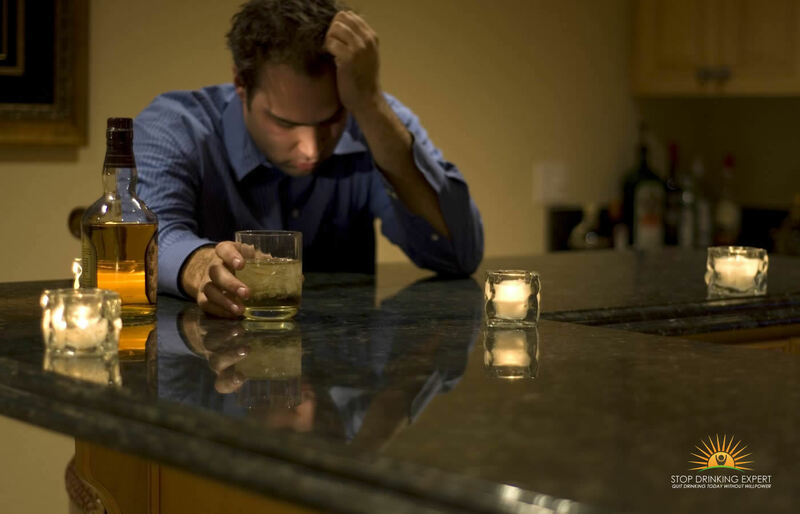 Do you have physical concerns as a result of your drinking? Do you have the tremors if you don’t drink? Do you get up vomiting in the morning? Are you hungover a ton? If so, you undoubtedly have a drinking problem. Despite what myth dictates, it does not have to be difficult or uncomfortable to quit drinking. 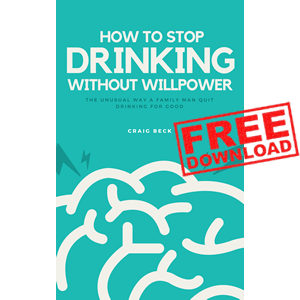 The Stop Drinking Expert approach uses an easy to follow, logical process that teaches people how to stop drinking without AA, rehab or willpower.